Regulation size, with pantone colour backgrounds blue throughout with gold fringe. 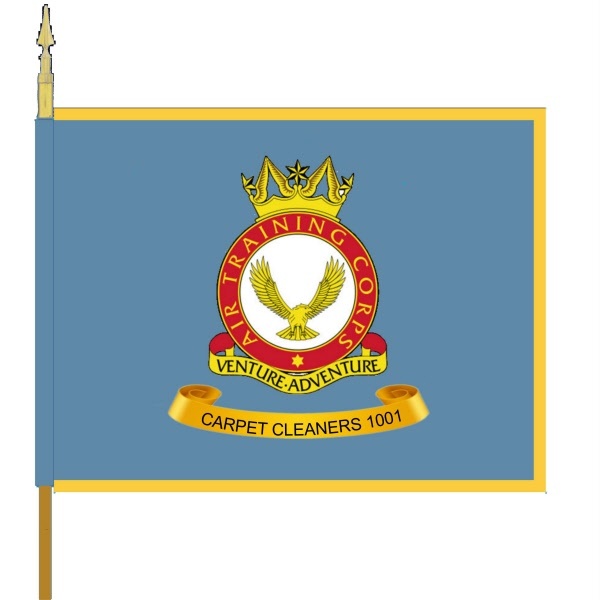 This is made to the specificatons as laid down by headquarters. 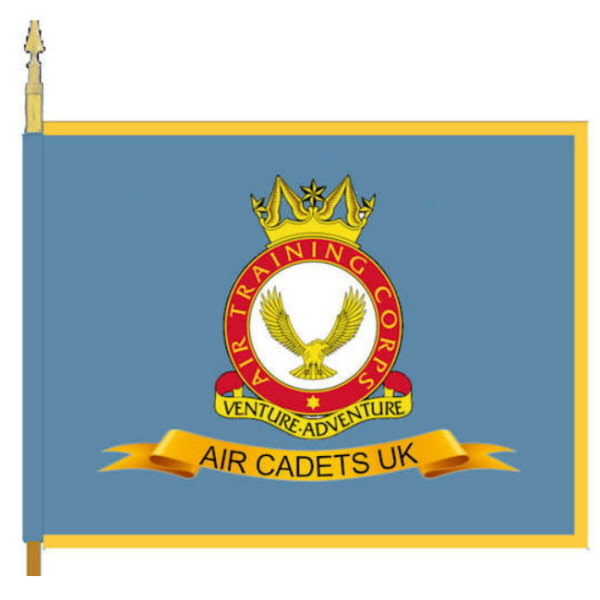 The ATC and squadron banners are the same.